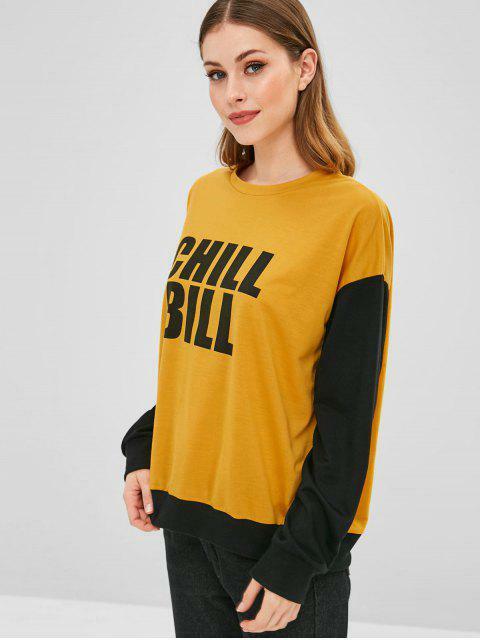 [57% OFF] 2019 Chill Bill Graphic Color Block Sweatshirt In YELLOW | ZAFUL ..
A combination with the lettering 'chill bill' graphic and the color-block design adds a contrasting edgy look to this pullover sweatshirt. 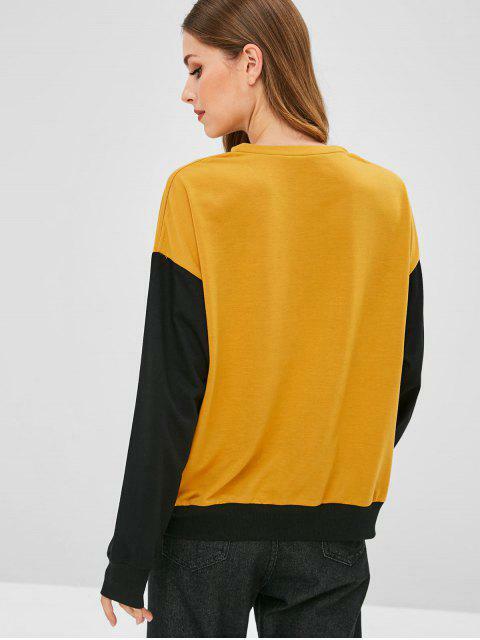 The drop-shoulder design ends the look for a little slouchy ensemble. 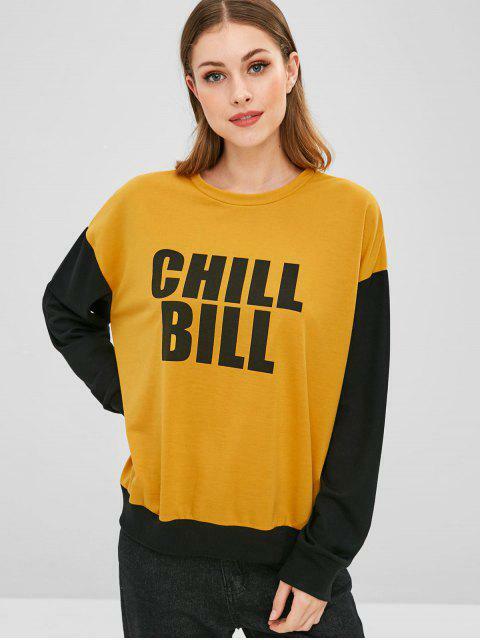 Pait it with any of your favorite jeans or shorts to complete the look.